This is highly beneficial to those that hate mind games and prefer to know exactly where they stand. 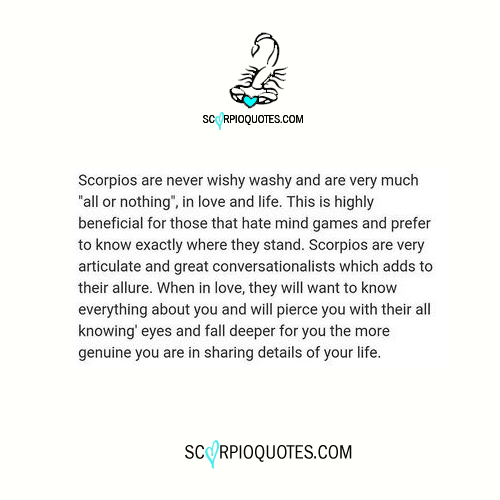 Scorpios are very articulate and great conversationalists which adds to their allure. When in love, they will want to know everything about you and will pierce you with their all knowing eyes and fall deeper for you the more genuine you are in sharing details of your life.